UCWeb has launched UC Share, a file transfer and sharing application with comprehensive functions and lightning-fast speed. UCWeb has also updated UC Browser, India’s leading mobile browser, and 9Apps, a popular third party Android marketplace with the file sharing feature. According to UCWeb, UC Share takes only 0.2 seconds to transfer an image, 1 second to transfer a song and upto 22 seconds to transfer a complete movie. UC Share can also scale upto a speed of 21MB per second, with an average file transfer speed of 5MB per second. 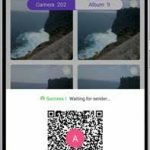 In addition, users can share file anytime, anywhere and in any network condition, without increasing their data consumption. The app itself is only 1 MB and occupies less storage than other similar apps. UCWeb is known for providing an easy-to-use and user friendly products and UC Share is another successful example of that. With UC Share, users can connect with others via users’ icon or QR Code. 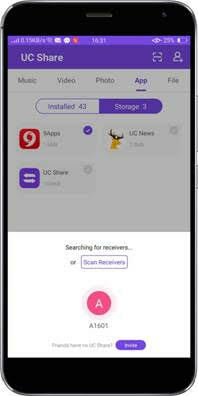 UC Share saves previous senders and receivers as icons on the App, and helps to build faster connection with your friends. 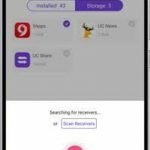 Further, users can browse and search for their favorite music, video and pictures based on their settings, avoiding the need for repeat search. UC Share provides an easy way to manage files on the device with a quick access option and view option for recently- transferred files on friends’ profiles, adds the statement of the company.